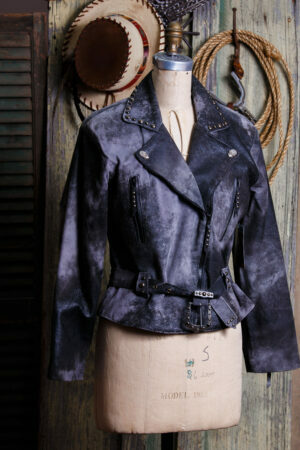 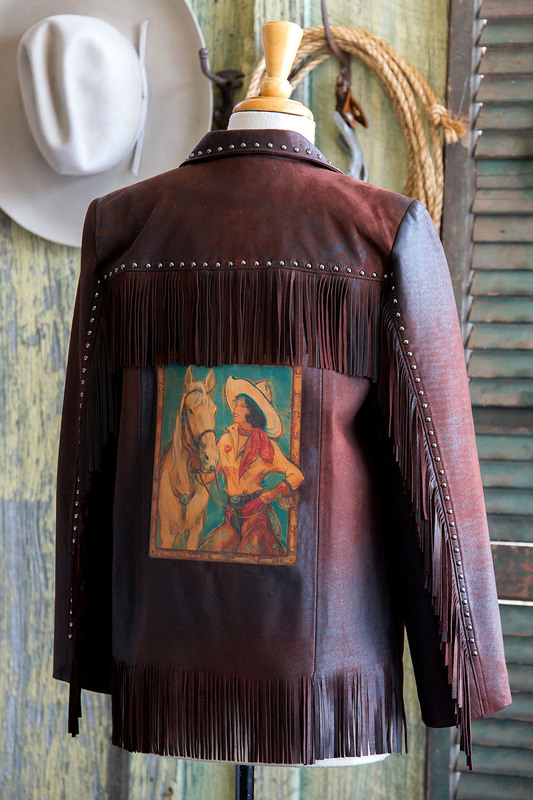 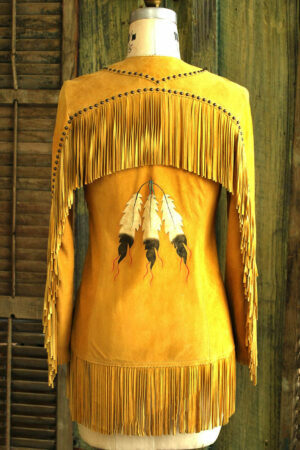 Lambskin ranch style fringed jacket with a great illustration of a cowgirl and her true love, her horse, on the back. 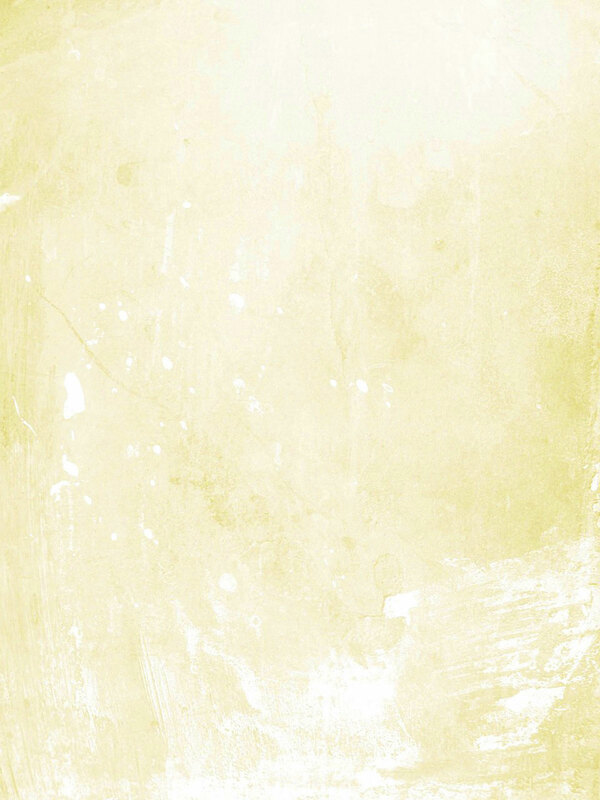 The True Love illustration is by Patricia’s good friend and gifted artist, Susan Edison. 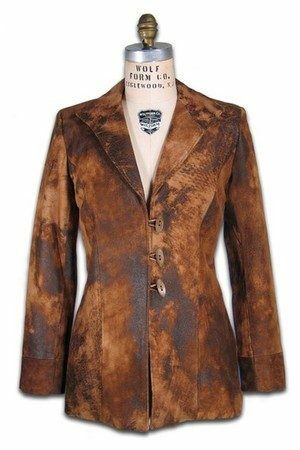 The leather has a variegated color the makes this jacket have the character of something from grandma’s old trunk in the attic. 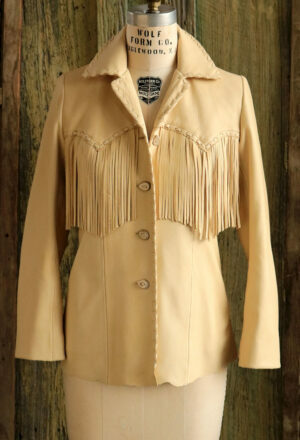 Four antler buttons close the front and antiqued studs line the yokes, sleeves, and patch pockets. 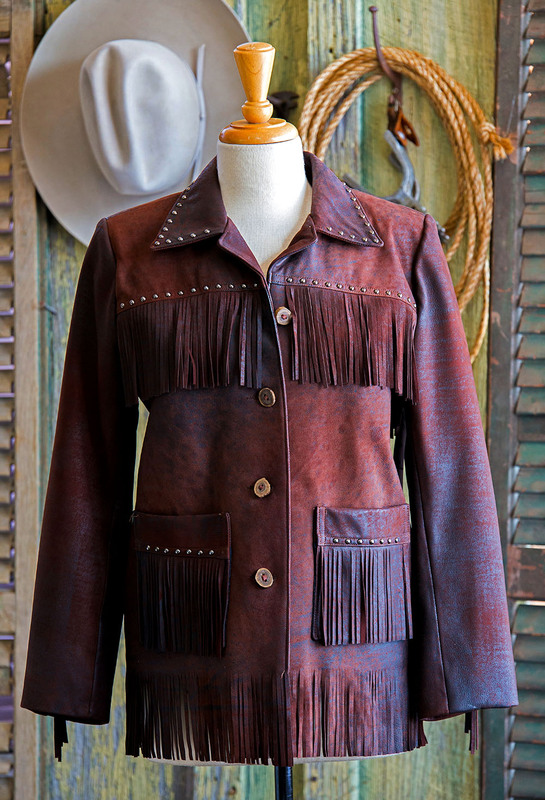 Shown in Rough Rider brown lambskin.